Remember the tie dye trend of the late 60s – early 70s? Well, it’s back! Initially a DIY print, tie dye has achieved some major exposure in the past summers, becoming a part of high fashion. So you can basically get a high fashion look for a DIY price – and isn’t that one of the things that makes DIY so awesome? People are tie dying everything these days – from basic t-shirts to nails and sheets. I’ve been bitten by the tie dye bug and plan to experiment this week. You can dye just about anything – tops, bottoms, outerwear, bags, scarves – anything with fabric in it. Here are a few ideas for inspiration! Tie dye can easily go into hippie territory. I think it’s easiest to wear it on top with bottoms in solid colors. My favorite has to be Isla Fisher’s pregnant style, in her concentric circles, loose neckline top and skinny jeans – she looks comfortable and chic at the same time. Tie dye tops: 1, 2, 3, 4. Leggings or jeans look stunning in tie dye, but the print optically adds some weight. While this look is best on skinny-legged women, I still can’t help thinking of dyeing my own tights…. Tie dye pants and leggings: 1, 2, 3, 4. 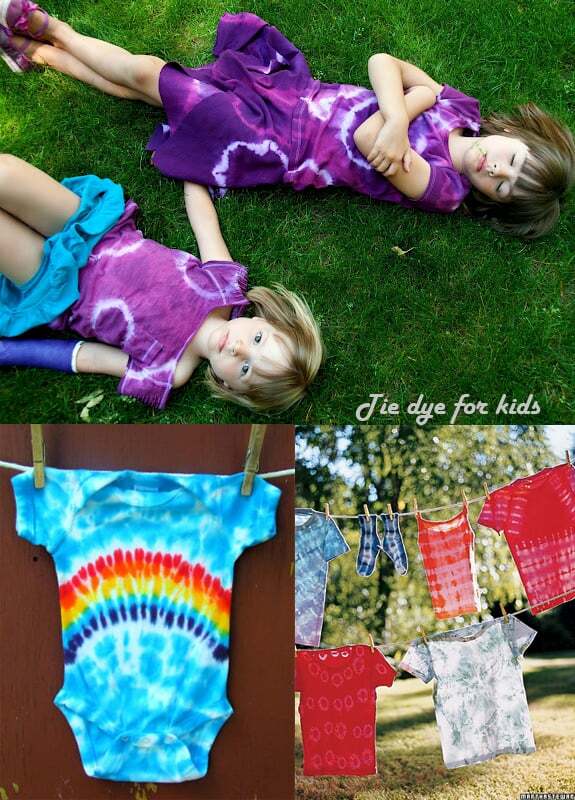 And one more thing that makes tie dye so fun is that you can do it with the kids! Dyeing is so easy – any mistakes just make it more unique. Plus, the little ones will be proud to wear their own work. What do you think of this trend? Will you be tie dying anything this summer? me. Anyhow, I’m certainly pleased I found it and I’ll be bookmarking it and checking back frequently! You’ll be posting about your experiments with tie-dye, right? :) I haven’t tie-dyed anything since junior high when we did it for a science class. I have no idea how it was related to science, but we all had fun! I love the onesies! What a fun idea with the tie dye! My tween loves tie dyed shirts. We made some a couple of summers ago and she still wears hers. 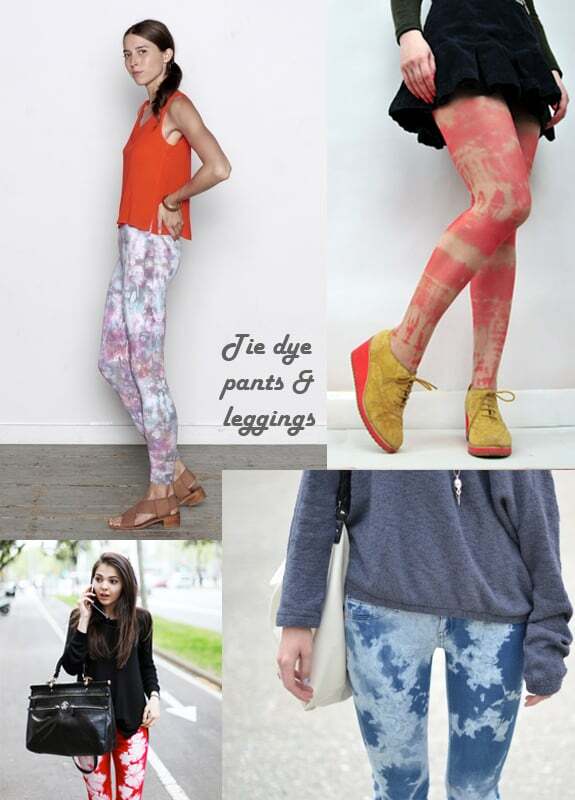 The tie dyed leggings are such a fun look, but I don’t think I’d be brave enough to pull it off! Tie dye tanks are cute but I have really been obsessed with the beach tote in tie dye effects! I have also been bitten by the same bug. I have a few onesies that are stained and just screaming to be dyed!